If you’ve read my primer on French pastry, you know that choux pastry, or pâte à choux, is one of at least nine or ten different pastry doughs or batters used in French baking. Contrary to a popular misconception, however, choux pastry is not puff pastry; the consistency and appearance of the finished product are different. It is not “flaky” like puff pastry, which results from many layers of dough. Instead, the high water content in choux pastry batter vaporises during cooking and causes the pastry to puff. It’s a relatively simple batter made only from water, eggs, flour, and butter, and it contains no leavening. 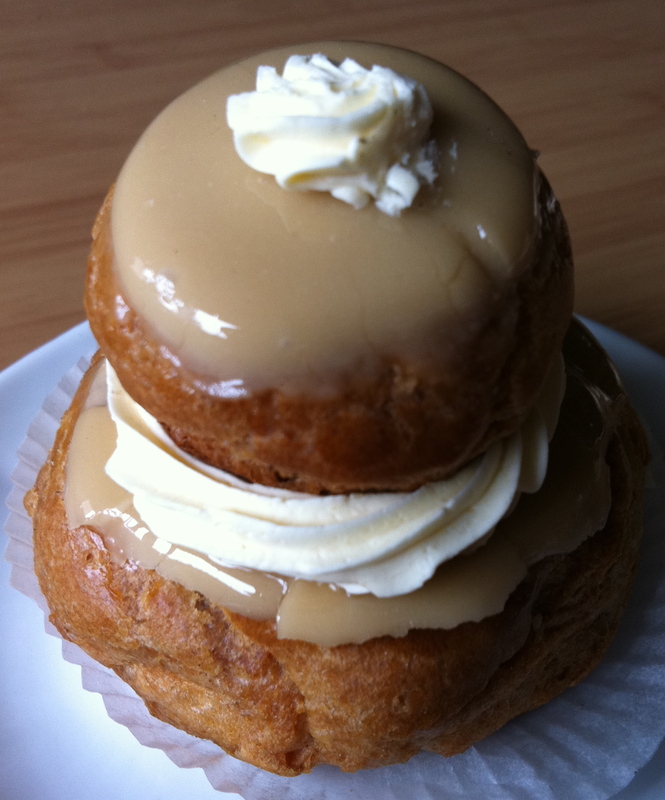 Here’s a good recipe for choux pastry for anyone looking to make their own religieuses. 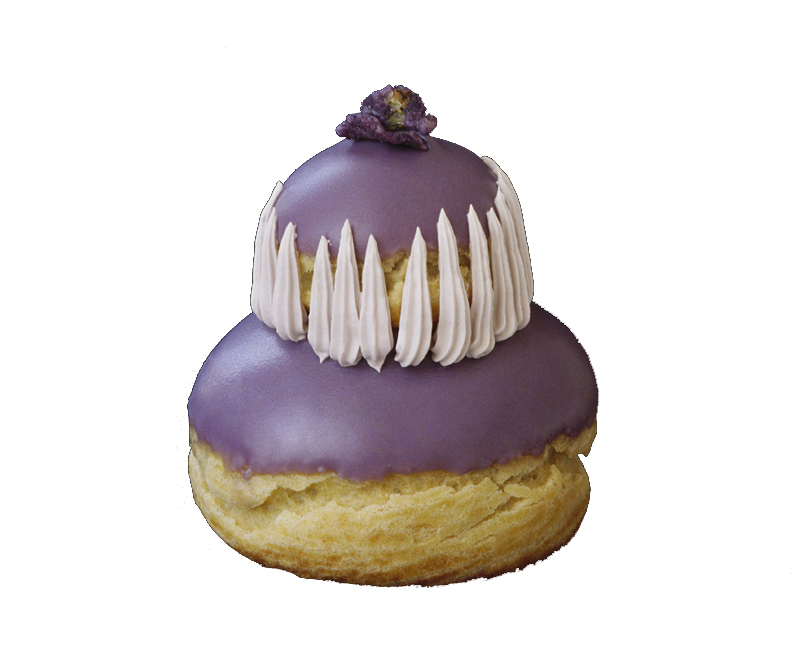 The religieuse reportedly had its origins in the mid-nineteenth century, like many other pastries made from pâte à choux like the éclair. The pastry batter itself has a much longer history. The first iteration of the batter was invented in 1540 by Panterelli, the Florentine chef of the Florentine queen of France, Catherine de’ Medici. Over time, successive pastry chefs refined the recipe: the pâte à Panterelli eventually became pâte à Popelin (used to make Popelins, little buns in the shape of a woman’s breasts), which subsequently became pâte à choux when the eighteenth-century pastry chef Avice changed the recipe to create his new pastries called choux because they resembled little cabbages (“choux” in French). The father of haute cuisine, Marie-Antoine Carême (perhaps the first-ever “celebrity chef”), made the final refinements to the recipe in the early nineteenth century. I’m not sure why the batter wasn’t subsequently renamed for him, except that perhaps pâte à Carême might be a little confusing, given that Carême is the French word for Lent. In any case, it seems no one thought it appropriate to further tinker with the recipe used by the “King of Chefs, and the Chef of Kings,” and the pâte à choux used today is the same one used by Carême almost two hundred years ago. According to one version of the story (the accuracy of which could not be confirmed by the original author), it was Carême’s newly improved choux pastry batter that the Parisian pâtissier Frascati used to create a pastry that would become his legacy to gourmands the world over. (By the way, what is it with all these Italians?!) In 1855, after days in his pastry kitchen, he succeeded in creating the first-ever religieuse, though it’s unclear exactly when the name was first applied. It is clear, however, that by 1929 the name had stuck, and these iced, custard-filled double cream puff delicacies would henceforth evoke the image of obese nuns. Above, I said that the religieuse is traditionally iced with a chocolate or coffee-flavored icing. Nevertheless, various pâtissiers have whipped up some very enticing variations. Ladurée, a world-famous Parisian pastry shop (particularly known for its macarons), has introduced such exotic varieties as rose, violet, orange blossom, raspberry anise, and caramel mango. Hmm, I think a visit to Ladurée is long overdue for me—I obviously haven’t done enough field research for this post! … and don’t forget to go to confession! Had a particularly good La Religieuse at La Cloiserie, a restaurant in the Hotel Philippe le Bon in Dijon. The top choux had ice cream in it, while the bottom one had chocolate mousse. The “ruffle” between the two was a ring of piped butter cream…delicieuse!